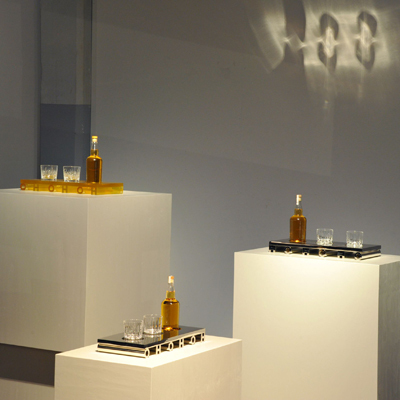 In the gallery space of Piet Hein Eek in Eindhoven, Marc Ruygrok has exhibited severals works of art or are they utensils? 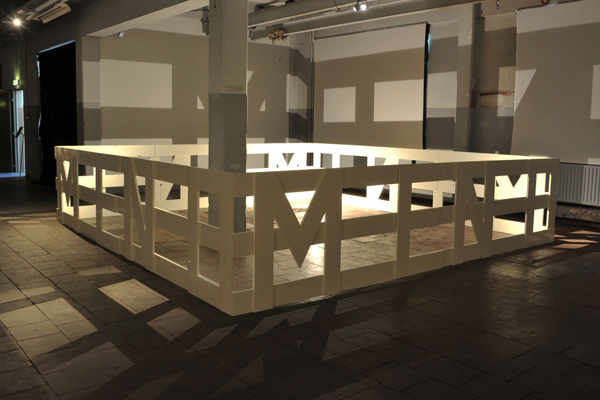 Wood fences composed out of words are also ‘word plays’. 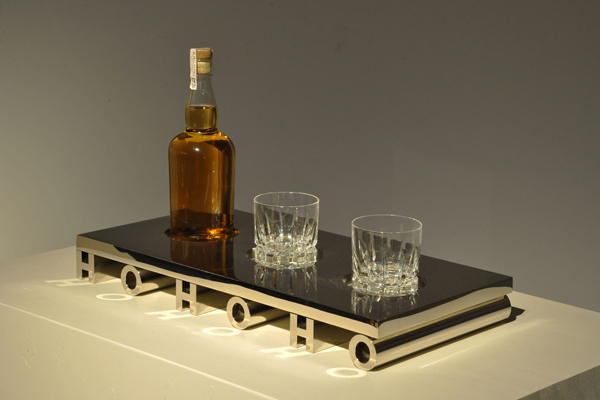 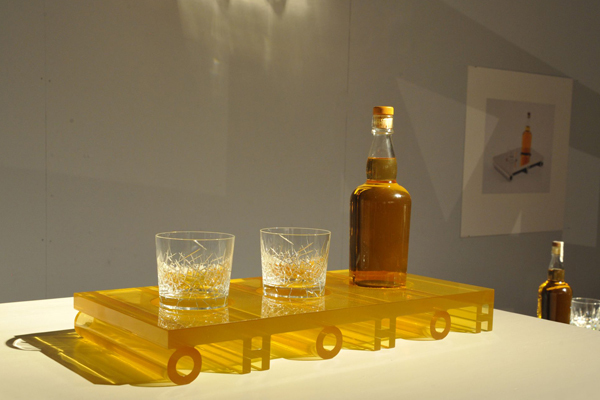 Beautiful whiskey trays made out of different materials, trigger us to think about the different sides of drinking using the words ‘OH OH OH HO HO HO’. 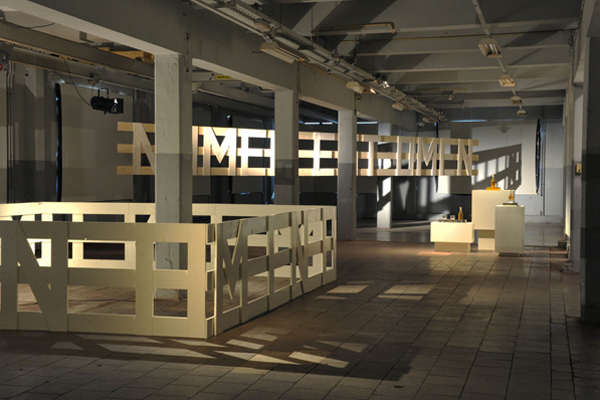 Using light and shadows the characteristics of the works are emphasized and a new dimension is added to the work shown.